Overnight showers and morning drizzle impacted both Premier Preliminary Finals today, mainly at Carlton. At Geelong play started on time, with an interruption of seven overs for a passing shower the only hiccup. 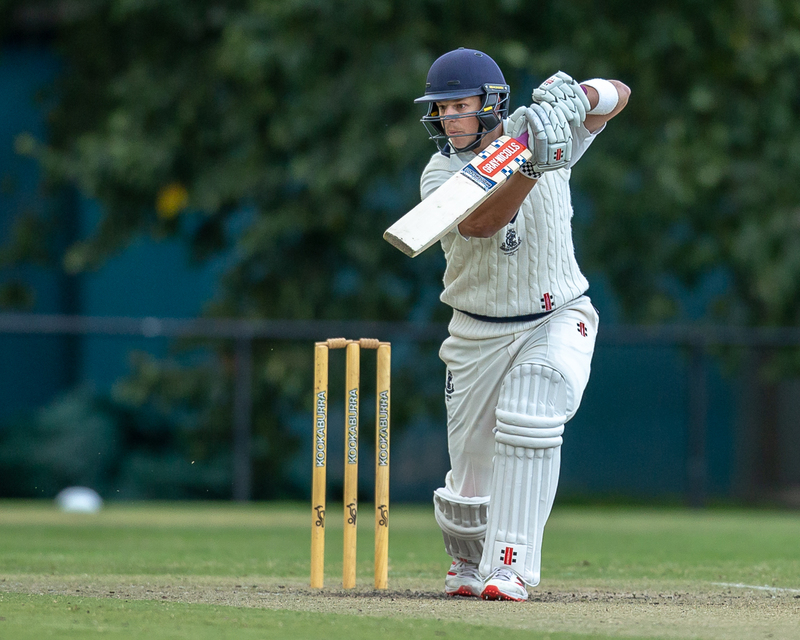 Sent in to bat, the Cats were given a brilliant start with centuries to both Mitch Reid and skipper Eamonn Vines. 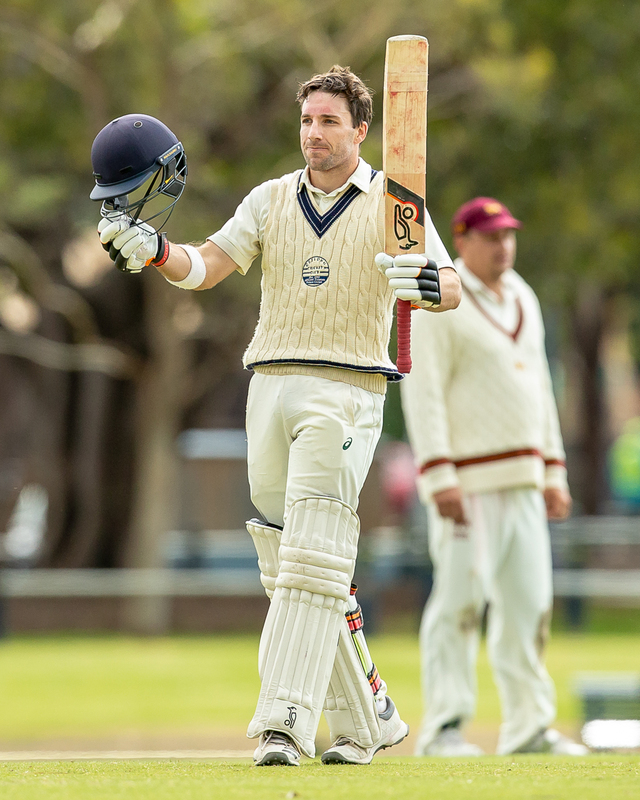 The pair put on an opening stand of 287, a new club record, eclipsing the previous record of 168 held by Luke Muller and Ian Redpath against Footscray in 2002-03. Reid's 166 (242 balls, 21 fours) was his second Premier century - he hit 161 against the Bombers earlier this season. Vines' 116 (211 balls, 12 fours) was his eleventh Premier ton. The Cats will resume on 3/348 tomorrow morning at 9.30am. At Princes Park morning drizzle finally cleared away enough to start at 12 noon, with Carlton being invited to bat first. Clint McKay picked up the wicket of Tom Smyth early, but Brayden Stepien (36) and Harrison Smyth (20) took the total to 47 before Matt Doric dismissed Stepien caught behind. 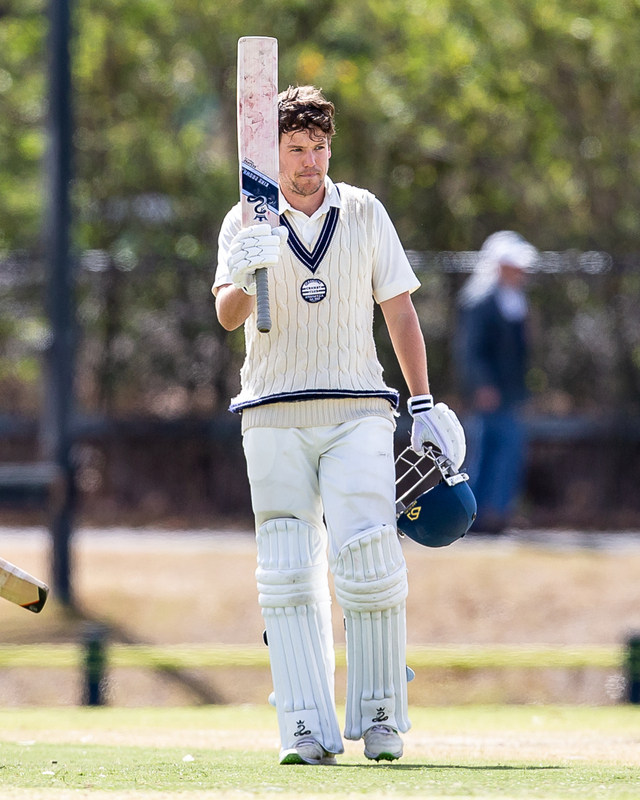 Doric (2/48) and Tom O'Donnell (2/31) snared a couple of wickets each, but Carlton captain Evan Gulbis (89*) batted solidly to steer his side out of trouble. Carlton finished the day on 5/194 and will bat on tomorrow before Essendon's reply.